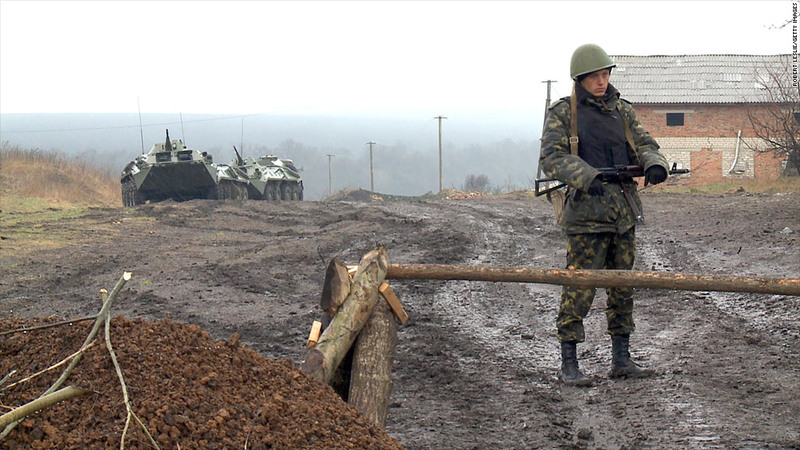 Ukrainian troops on high alert near the border with Russia. Kiev has warned Russia not to intervene in the east of the country. The International Monetary Fund has slashed its growth forecast for Russia and warned of wider economic fallout if the Ukraine crisis escalates. 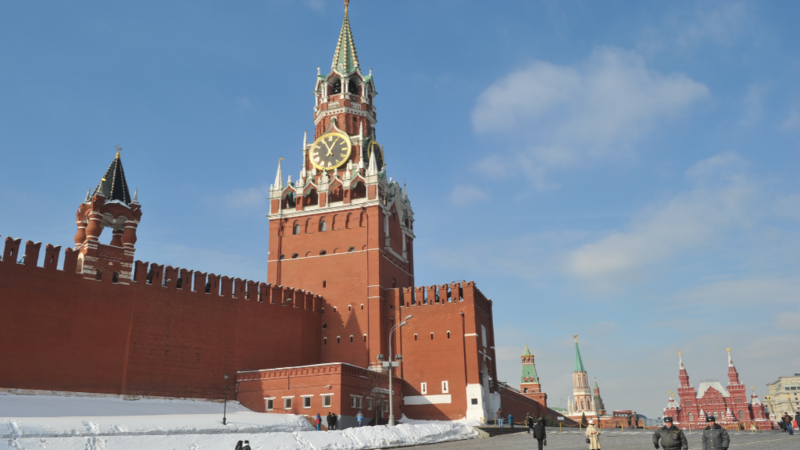 Russia's oil-rich economy will grow by 1.3% in 2014, according to the IMF. That compares with its January forecast of 1.9%. Other forecasters, including the World Bank and some in the Russian government, expect a much weaker outcome due to a flight of capital and an emergency interest rate hike aimed at drawing the inflationary sting of a sharp devaluation of the ruble. The currency is down 8% against the dollar so far this year, and Russia's main stock exchange index has fallen more than 10%. The U.S. and Europe have imposed travel bans and asset freezes on a few dozen leading Russians, including some in President Vladimir Putin's inner circle, over Moscow's annexation of Crimea from Ukraine. They've also threatened much tougher sanctions if Russia makes a move on other parts of Ukraine, despite the pain that would inflict on some European economies. In its latest World Economic Outlook, the IMF said the Ukraine crisis had not begun to affect the global economy. But the organization warned the impact would be felt beyond Russia's immediate neighbors if further turmoil unsettles markets or leads to disruption of trade, energy and financial flows. "In particular, greater spillovers could emerge from major disruptions in production or the transportation of natural gas or crude oil, or, to a lesser extent, corn and wheat," the IMF said. Its global growth forecast for 2014 was little changed at 3.6%, down just 0.1% since January and that's entirely due to the downgrades to Russia and other major emerging markets. Brazil's economy will grow by 1.8% this year, down from 2.3% in 2013, and 0.5% weaker than the IMF's January forecast. Brazil, which hosts the soccer World Cup in June, was suffering from weak private investment, reflecting low business confidence, the IMF said. Of the major developed economies, only Japan suffered a downgrade, with its forecast cut by 0.3% to 1.4%. Some analysts say the impact of the country's massive monetary stimulus program -- launched by Prime Minister Shinzo Abe to beat decades of stagnation and falling prices -- is running out steam. "Implementation of the remaining two arrows of Abenomics -- structural reform and plans for fiscal consolidation beyond 2015 -- is essential to achieve the inflation target and higher sustained growth," the IMF said.